Our main facility is located near the waterfront in South Boston, Massachusetts. It is fully HACCP compliant and incorporates the latest technologies for holding live lobsters. 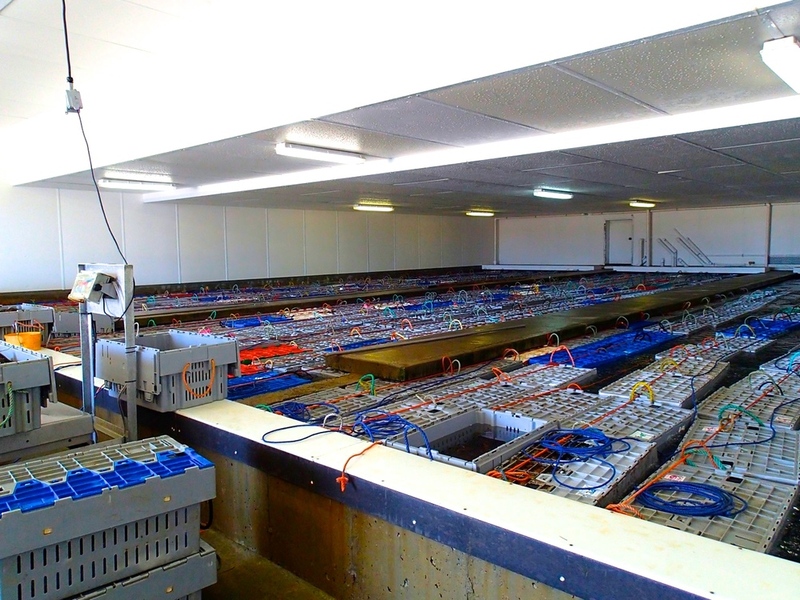 In 2002 we completed retrofitting our cooler and installed one of the first tote holding systems in the United States. This system, not only increases the productivity of our employees, but more importantly, reduces the stress on the lobsters and provides a better product. Once this system was completed, our holding capacity in Boston increased to over 60,000 pounds. We are located only minutes from Logan International Airport. This allows us to handle last minute orders and pack lobsters as close to departure time as possible, saving valuable hours that all add up to a stronger lobster on the receiving end. In 1998, we purchased a lobster pound located on Cape Sable Island in southwest Nova Scotia. The pound, pictured below, covers and area of nearly three acres. It has a holding capacity of 140,000 pounds. Later, in 2001, we completed construction of the tank house seen in the pictures. As a CFIA certified facility, it allows us to hold 110,000 pounds year-round in refrigerated water. In addition to our own facility, we lease additional lobster pounds that increase our total holding capacity in Nova Scotia to nearly 600,000 pounds. This capacity ensures we are able to provide a consistent supply of quality lobster.